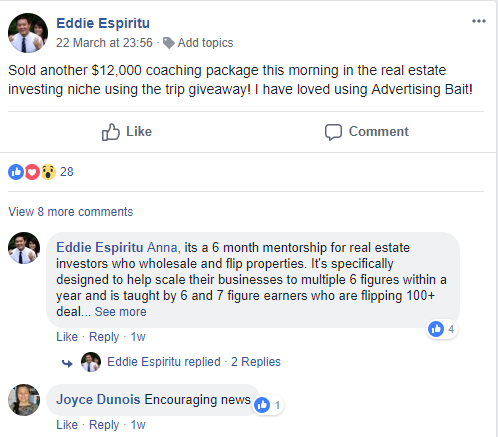 Join the Advertising Boost Facebook group now to interact with thousands of others who are exploding their profits using our free vacation incentives. Join The Group Now! Go ahead. It's FREE! 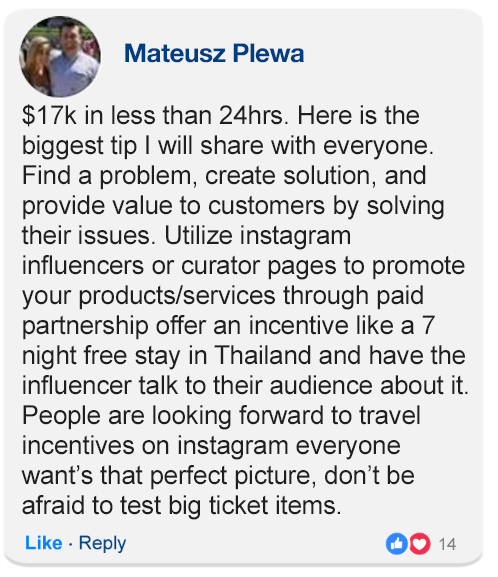 "BookVIP.com Used These Digital Vacation Incentives To Generate Millions In Sales & Over 17,500 Customer Video Testimonials... More Than Anyone Else In The World!" Don't Raise Your Prices... Increase Your Value With Sales Incentives! Get 3 to 5 Times More Customer Video Testimonials. 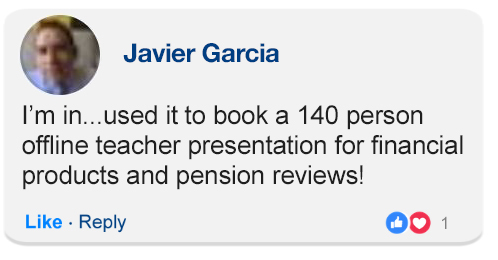 Bookvip.com generated over 17,500 customer video testimonials using our vacation incentives. Our clients are dominating their competition by increasing their profit margins with Advertising Boost. 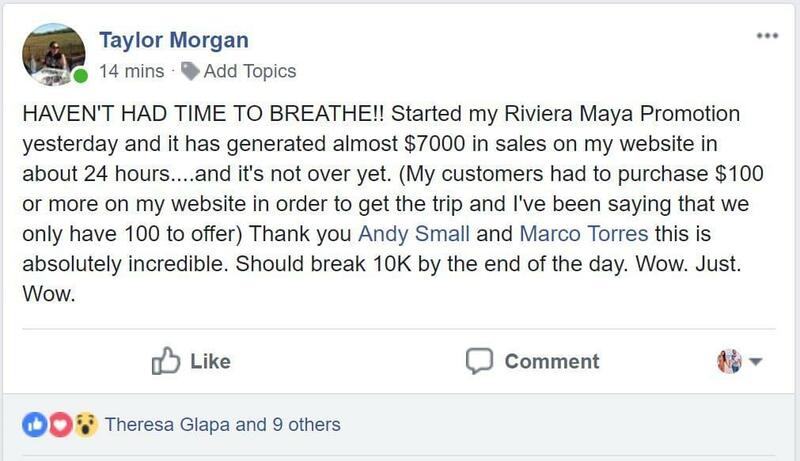 "The 'Greater Bank' Did Over 1 Billion In Loans By Offering A Free Vacation Incentive To It's Clients To Close The Deal"
Ultimate Facebook Secrets includes over 6 hours of step by step video instructions and was created from over $23 million dollars in Facebook ad spend. This is the exact blueprint we used to generate over 3.8 million fans & $200 million in sales for BookVIP.com. 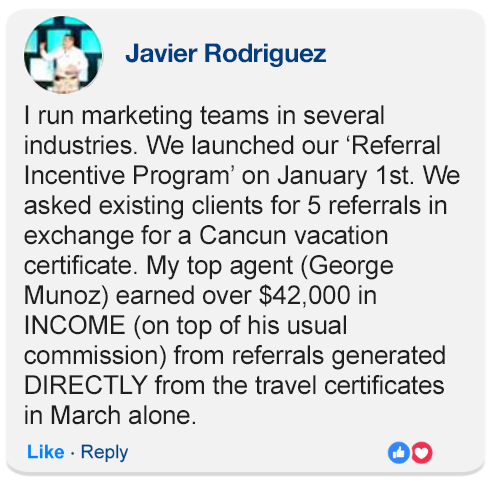 These same strategies, combined with the vacation incentives in Advertising Boost also helped us to generate more customer video testimonials than anyone else on the planet! 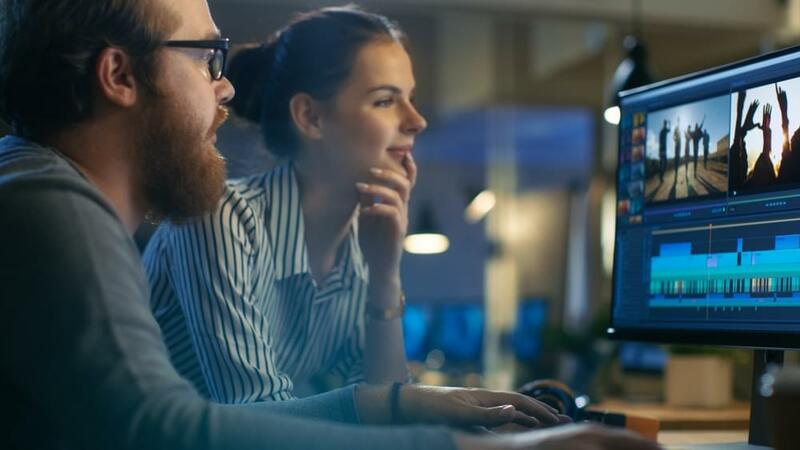 When you join Advertising Boost today, you'll have access to a huge library of video ads we've produced for our clients in almost every industry you can think of. However, if we don't have a video ad for your industry when you join Advertising Boost, we'll create one for you absolutely free of charge! Our videos have generated over a half billion views and tens of millions of dollars in sales. Now you can leverage our expertise to explode your business! Sounds Too Good To Be True? It Definitely Isn't. First off, hotels and resorts are rarely full but they are always open and still have their fixed costs and always have unused rooms available. Since we also own BookVIP.com, the fastest growing online travel company in the world, they partner with us to help them fill up their otherwise empty rooms that they end up turning into additional revenue from other parts of their property like their in-house restaurants, the bar, the casino, room service, the spa or even an extra day stay. They’re actually doing it for some of the same reasons why you would be using our certificates, to increase their repeat and referral business. 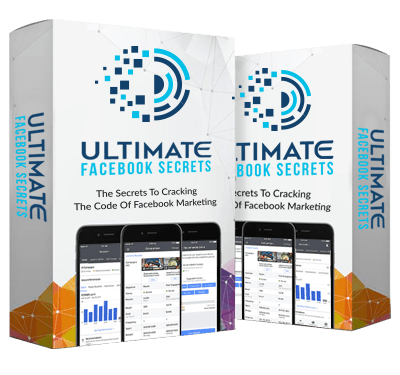 "I sell coaching / training packages from $2500 to $25,000 and I'm using Advertising Boost to increase my conversions." "I want to thank Advertising Boost for this amazing service. I'm seeing a 60% increase in sales. 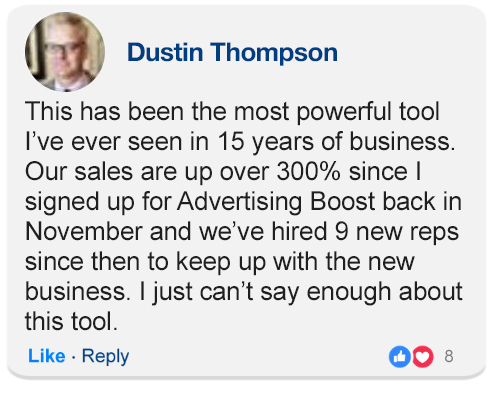 I'm referring this to all my colleagues"
The Advertising Boost Facebook group is an incredible support community that helps you to hit the ground running. See real time examples of other successful marketing campaigns using Advertising Boost vacation incentives. This is a great place to interact and brainstorm with others. 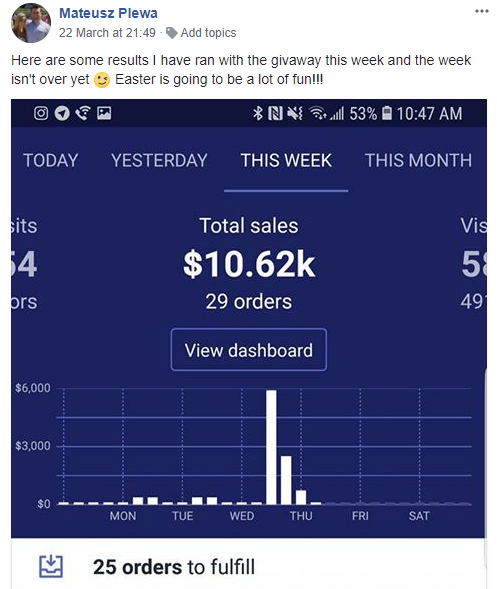 Let Me Show You Everything You'll Get Today When You Join Advertising Boost Today! There is NO catch. 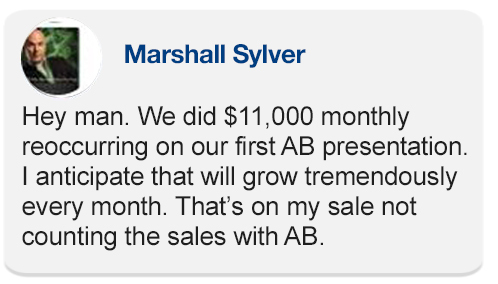 You can join Advertising Boost today for only $497 per year. There are no other sign up or hidden fees. Of course. :) I guarantee that you'll LOVE Advertising Boost, and if for some reason you decide later that you don't want to be a member anymore, then we'll happily cancel your account without any penalties or fees. We don't believe in any long term contracts so you can come and go as you please. From here it's just finalizing the details. Click on the button below and we can finally get started! Your account will be live in just a couple minutes! Great question. No, your customers will never be required to attend any sales or timeshare presentation. These are real, top quality Resorts with no hidden fees or strings attached. We own and operate BookVIP.com and we are simply filling otherwise empty rooms which the hotels and resorts turn into additional revenue from these consumers spending money on the property, such as room service, spa, in-house restaurants, bar purchases, casino and extra day stay, etc. In addition, we will offer them additional incentives and upgrades that your client can choose to accept or decline. These additional incentives will save your customer from $500 to $1500 that will include a discovery tour of the property to introduce them to the benefits of resort membership or ownership. Your Client, however, will NEVER be required to upgrade. BookVIP has traveled over 1 million families to date and has contracts with the world leading hotel chains, and resorts to help them fill their otherwise empty rooms. We help fill empty rooms which the hotels, resorts turn into additional revenue from other areas of their property and future bookings. Hotels rarely experience full occupancy, yet they remain open, providing rooms and services at fixed costs. So when hotels give out their rooms by partnering with AdvertisingBoost and BookVIP, they might miss out on the room fee, but they already didn't have that in the first place, at least now they have the opportunity to gain a customer for their in-house restaurants, room service, their casinos, an extra day stay, future bookings, etc. The benefit of why our program works so well is the fact that it's a win-win for everyone involved. You win because you gain more business from using our incentives. Your customers win because they received an awesome incentive gift from you. The resorts win because they gain additional revenue from other areas of their establishment that they otherwise would not have been able to get and they also have a new client that may book with them in the future. BookVIP will also offer additional upgrades and incentives that your client can choose to accept or not. As a member of Advertising Boost, you can give away an unlimited number of digital certificates. Your customers can only use one in the US and one internationally. Click here more frequently asked questions. In other words, the Thailand vacation certificates can’t be redeemed by people they would consider “locals”. To use certificates in Thailand, the establishments are looking for tourists from what they consider “foreign countries” outside of Asia. Join Our Facebook Group & Interact With Thousands Of Other Users!